LivingGreenFurniture, a division of LivingGreen LLC, was established to bring affordable, high quality, eco-friendly furniture products to the online market at a truly exceptional value. 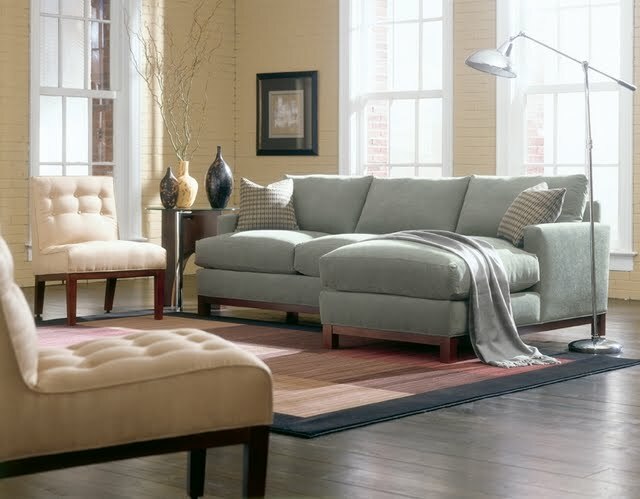 Living Green offer slipcovered and upholstered sofas, sectionals, sleepers, loveseats, chairs and ottomans - all customizable by you from a wide array of fabric styles and colors, cushion fills, and wood finishes. They source their products from the highest-quality American manufacturers which they have carefully scrutinized to make sure their products comply with our eco-friendly mission. 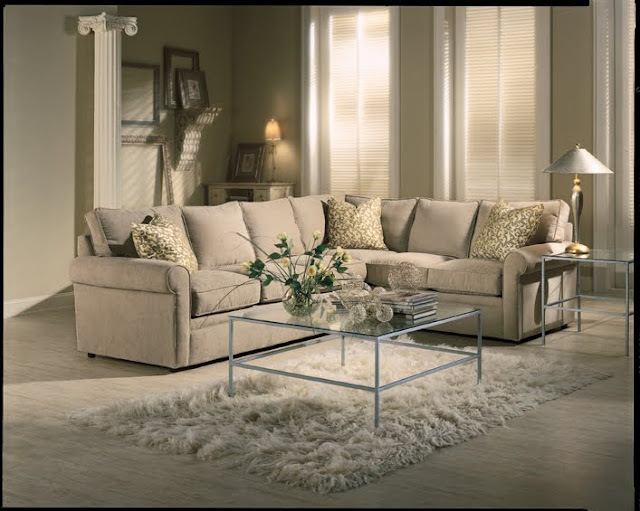 What's most important, after the style of the furniture and the fabrics, is comfort and value. Exceptional value isn't just about price, it's about the relationship of price and quality - how the furniture is made, how it performs and how long it meets or exceeds your expectations. So read on to see how they "stack up"! The heart of their custom upholstered, eco-friendly furniture is a solid frame made from American hardwoods that have been sustainably harvested. Kiln-dried hardwood as well as solid and laminate boards that are precision-milled into a frame that will never twist, warp or crack. In an effort to minimize any waste of resources, the kiln is fired from the sawdust and wood waste produced during the milling process. Joints are held strong with double-dowel or mortise and tenon and corner block construction. Because of the unbeatable craftsmanship on their line of furniture frames, they are able to guarantee them for as long as you own their furniture. Suspension systems are an important part of our comfort story. LivingGreenFurniture uses either a traditional coil or sinuous spring system or a state-of-the-art elastomeric webbing system. Just like their frames, LivingGreenFurniture guarantees its suspension systems for as long as you own your furniture. Cushions are specifically designed for each style of their upholstered and slipcovered furniture. Standard cushions include a core containing plant-based and recycled materials, and organic, halogen-free fire retardants. Each core is wrapped with a layer of soft polyester fiber. LivingGreenFurniture’s cushions are made without the use of CFCs. The high-resiliency foam delivers just the right amount of support, comfort and bounce-back to ensure ultra-comfortable seating, while the fiber wrap provides softness and shape to the surface of the cushion. Each furniture family’s style and design dictates whether the cushion looks and sits a little softer, or sits more firmly with a more tailored look. As an option on many styles, the eco-down blend cushion is a modern combination of a channel-quilted down-proof jacket filled with multiple layers of high-resiliency recycled fiber foam surrounded by a blend of duck feather and down. This cushion delivers an exceptionally rich and plush down-like seating comfort for the ultimate in sit-down-and-sink-in splendor. All cushions as a rule will soften with use. With proper care, all cushions will deliver years of dependable seating. Regular vacuuming, fluffing and rotation of cushions will help extend cushion life. As a designer, I love upholstery as a beginning for a lovely color palette allowing you to totally customize your room theme. Along with the fun of creating your own personal style, realizing you have quality and beauty which will last a life time is priceless. My personal opinion is to use a solid allowing you to change the pillow colors and style as often as you like, this becomes very economical, changing your pillows and accessories becomes your least design expense. However, they also make lovely custom style slip covers which would allow you to use a pattern. This is furniture you will use everyday of your life, what a relief to know it will last as long as you own it. Once this decision is made then have fun playing with colors in your accessories.